Would you believe the now uber popular and commercially populated Bearden was originally developed as an agriculture community of Irish settlers? Formally known as “Erin” what we now call Bearden has changed quite a bit from its inception. Now the heart of 37919 is known as a robust shopping and restaurant mecca; with over 30 shopping centers, several dozen office spaces and too many restaurants to count. 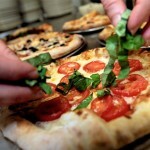 You can find amazing boutiques and speciality restaurants scattered along Kingston Pike, including the local favorite Tomato Head, which has been recognized as a top restaurant both locally and statewide, and the unique shopping experience at The Southern Market. Or swing into the Bearden Beer Market, a Top Knox award winner, and enjoy a locally brewed beer in the unique beer garden. New construction is popping up all along Kingston Pike and new businesses are opening every day. Some highlights include, Grow (a salon concept by Shane Archer, who has been voted “Best Colorist” and “Best Stylist” in Knoxville numerous years in a row), their neighbor Est8te, “a high-end clothing boutique with a Southern aesthetic”. Great shopping at local boutiques such as Fig and Company and The DW Designs. Or participate in a chalk painting workshop at Back Porch Mercantile and shop the adorable selection of children’s clothes at Twig. Home to Bearden High, Middle and Elementary as well as Sequoyah Elementary, some of Knox County’s highest rated schools, Bearden boosts a Smart Schools score of eight. 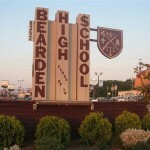 Bearden’s stellar school rating makes Bearden a great choice for young families. Most Bearden residents represent a slightly younger demographic. According to Trulia, most homeowners are 30-40 somethings. The younger dweller presumably prefers Bearden due to the richness of the social scene, great schools and proximity in relation to most offices within Knoxville and downtown. In fact, most residents only have about an 18 minute commute, which is well below the national average. Furthermore, Bearden is great for anyone who likes to frequent the downtown Knoxville scene. Hop on I-40 and you are only a few exits from Market Square, Old City, a plethora of shopping and dinning, and the iconic Sunsphere and World's Fair Park. The median home price in Bearden is about $227,000.